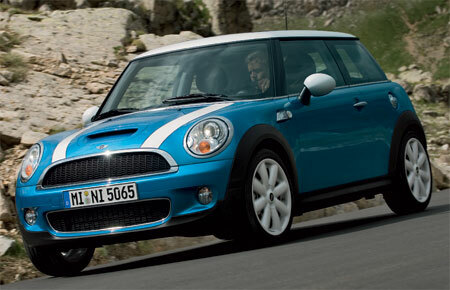 The MINI Cooper S has been updated in Malaysia with a new N14B16 engine that produces 184 horsepower at 5,500rpm, which is up about 9 horsepower from the original horsepower rating of 175 when the Cooper S was first unveiled and then later launched in Malaysia. Torque is still the same 240Nm with a short 20Nm overboost to 260Nm whenever necessary. The engine update is more than just 9 extra horses – the engine also now gains Valvetronic. The pre-update engine only had direct injection for the turbocharged model and features Valvetronic only on the normally aspirated version. CO2 emissions have also dropped and fuel consumption should be a little better during mixed mode driving. BMW previously couldn’t manage to integrate both direct injection and Valvetronic in many of its engines, including the N54 Turbo that’s found in the 335i and 740i, but the new N55 in the new F10 535i features both direct injection and Valvetronic. And now it is the little BMW-PSA Prince engine’s turn! Next Post: Next generation Kia Picanto to feature EV and turbo?